Home > Dog Health > Pet Insurance > Pet Insurance Comparison 2019: Who’s Best? When a copperhead snake snuck up and bit Alyssa Singer’s Doberman, Miles, on the muzzle, she didn’t think twice about rushing her pup to the vet. But the $600 vet bill stopped her in her tracks. Miles was fine after a dose of antivenom and some TLC, but Alyssa’s bank account is still recovering. Melissa Vincent’s Bichon Frise, Fenway, needed not one but two knee surgeries to repair subluxated patellas, a relatively common orthopedic problem in the breed. Melissa ended up shelling out more than $4,000 to get Fenway back up and running again. Pet insurance has been a growing industry and a passion of ours since 2007. We work hard to bring you honest, unbiased reviews by conducting research and getting customer feedback. Below are our top three picks for pet insurance this year, including our review criteria and factors we consider most important when it comes to your pet’s health and well-being. We consistently update our reviews, so be sure to check in regularly for the most current information. Finding the best pet insurance can be a daunting task. That’s why we’ve done in-depth research and spoken with real customers to bring you our top 3 picks. Open our pet insurance quotes to see an example of who offers the lowest prices. See how others compare to our top 3 by reading about the rest of the pack. Become an expert on pet insurance yourself by learning more. View our infographic to see some surprising statistics and fun facts. You may want to open up our pet health insurance terminology page for an easy side-by-side reference. 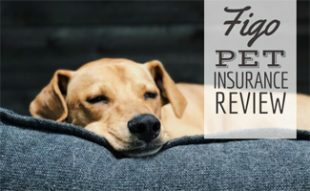 Pet insurance stands out among our reviews in that the cost of each policy is unique to your pet and is calculated based on a vast number of variables, including but not limited to your pet’s age, breed, location (e.g., where you live), health conditions and so forth. We calculate our “price of policy” ratings based on quotes we run in addition to reader and consumer feedback. Since the price for your pet may vary significantly from that of others for a given provider, we encourage you to get quotes from multiple companies. All scores are on a scale of 1 to 5, with 1 paw being the worst and 5 paws being the best. Why Do We Consider Healthy Paws The Winner? Lots Of Plan Options With No Caps – Healthy Paws offers four annual deductible levels ($100, $250, $500 or $750), four percentage options for actual vet bill payouts (60%, 70%, 80% or 90%) and no cap (per-incident, lifetime or otherwise) on any of its claims. No Yearly Limits – Once you meet your annual deductible, all policy-covered incidents will be paid during that year, while most companies reimburse after you reach each incident deductible. So, if your pet is susceptible to trouble more than once a year or you just want to be on the safe side, this plan could be a good fit. The Best Customer Service – Healthy Paws has some of the best customer service reviews in the business. Low Premium Prices – Most consumers report lower premium prices for similar coverage (unlimited lifetime benefits with no claim limits). Why Did We Choose Pets Best As Our #2 Pick? True Emergency Only Option – Pets Best offers an “Accident Only Plan” to cover you in case of unplanned emergencies, but it does not include exam fees or specialty treatments. This plan has a $10,000 annual limit with a $250 deductible and 90% reimbursement, making it one of the least expensive options for pet insurance. Low Pricing – Pets Best was consistently among the least expensive pet insurance companies when we ran quotes. Customer Service Options – It offers live chat, phone, email, fax and FAQs to help answer your questions. We’re also impressed with its 24/7 Pet Helpline, which allows you to speak with a vet expert any time of day. Customizable Plans Tailored To What You Want – You choose what coverage you want to pay for instead of paying more for stuff you don’t want. Deductible options are from $50-$1,000, reimbursement is available for 70%, 80% or 90%, and it offers two wellness plans. Why Is Figo Our #3 Pick? 100% Reimbursement Available – Figo is the only pet insurance company in our reviews to offer 100% reimbursement for claims. If you want your full claims covered, Figo may be the company for you. Low Pricing – Figo was consistently among the least expensive pet insurance companies when we ran quotes. Customer Service Options – You can reach Figo in many ways, including phone, text, live chat, email, fax, Facebook Messenger or Twitter. Fully Customizable Plans – Pet owners considering Figo can create a plan to best meet their needs and budget with a choice of maximum annual coverage amount ($10,000 to unlimited coverage), annual deductible ($100 to $750) and reimbursement rate (70%, 80%, 90% or 100%). Depending on location and age of pet, you may qualify for additional options including a deductible between $50 and $1,500 and/or a 60% reimbursement rate. Many new pet insurance companies are popping up due to the popularity and high demand. In the past, we’ve seen new companies enter the pet insurance space at meager prices. However, after some time in business and paying some claims, these companies increase rates to make ends meet. This ends up hurting the customers because their premiums increase drastically — and if they submitted a claim, their pet now has a pre-existing condition. So, if they change providers, that condition will not be covered by another pet insurance provider. In the end, they may have been better off going with a different, more well-established company. Because of these issues, we’ve decided only to review pet insurance companies that have at least 5 full years of national experience. We think this approach gives companies time to establish a consistent pricing system and reputation, which helps give customers and us a better idea of what to expect. What Is Pet Insurance & Is It Worth It? This helpful guide gives you a good understanding of your options when it comes to insuring your furry family members. This video is a useful introduction to dog insurance and the benefits of owning a policy. For those of you still on the fence, you’re probably wondering what kind of common scenarios your pup might get into when pet insurance would apply. Check out our list of common dog health issues to get an idea. For example, removing lumps and bumps is one of the most common surgeries for dogs and can cost more than $1,000 each time. That’s a lot of money that you weren’t planning to spend, and most of us don’t have that amount of cash lying around. Insuring your pet can lift that weight off of you so you can focus on enjoying your time with your four-pawed friends instead of worrying about having to pay for unexpected medical bills. Got more questions? Hit us up in the comments below. 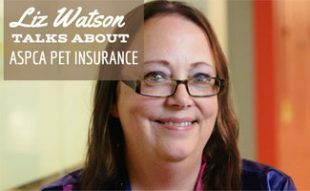 Have you had experiences (good or bad) with pet insurance? They claim the mouth isn’t covered, what else isn’t covered eyes?,ears, nose and probably whatever your dog has . I paid in about $1500 maybe they don’t start paying until you pay in $5000. Oh and don’t forget the $200 deductible and 20% copay. My experience with Healthy Paws over the three years I have been with them is two rate increases. The increases have not been due to claims. Healthy Paws explains the increases are because of the type of dog ( English Bulldog) and my location (Danville, CA ). I have decreased my reimbursement level and deductible amount to partially offset the amount of the increases. I haven’t seen the upside of being with Healthy Paws pefhaps because I have not had a lot of claims. I will start to look at alternatives closely in the future. Thank you for taking your time and sharing the information. I am in the process of researching what pet insurance would be the best choice for me. I was leaning toward Healthy Paws but now… Very disappointed that they couldn’t even respond to your post. Hi, Kimberly, Thanks so much for cautioning this. I just confirmed with Pets Best and unfortunately they are the same as Petplan and consider themselves as excess (secondary) if any other insurance is in force. So Pets Best and Petplan combo won’t work. 1) Higher upfront costs (doubling premium and deductible), say, on the order of $700/year or $7,000/10 years in a hypothetical scenario. This does not sound worth it from an insurance point of view; i.e., you could save that cost and take the risk and pay out of pocket if such a huge expense occurs. 2) Complicated claim process (more headaches, involving two providers). Now the primary is a new policy, which does not cover certain pre-existing conditions, which are probably the common occurring conditions at the moment and will have to be covered by the secondary policy. Like you suggested on Dec 28, at this point, it does not seem worthwhile to get a second plan at all. On the positive side, they did not mark our dog’s periodontal/dental disease, which is considered curable. 2) Petplan’s medical record review is still underway – will take 30-40 days. I’m just thinking aloud: guess such conditions could be considered very similarly by different providers, and thus Petplan could treat those as pre-existing as well, although their definition could differ slightly. At this point, perhaps it would make no sense to switch from our current Pets Best plan (unfortunately with a $5,000 annual max, no non-routine dental coverage) to a new plan (with high max and dental) any more, as such pre-existing conditions could be expensive. Could somebody with more experience on medical record review comment or share your insight? Many thanks in advance. Looks like you are doing a great job gathering as much information as possible so you make an informed decision, great job! A couple things to point out. 1) Petplan covers curable pre-existing conditions after 365 days. So, for example, if the allergies aren’t an issue for 365 days Petplan may cover them after that time. 2) Petplan has pretty detailed dental coverage. If periodontal disease is an issue for your dog, you may want to see if Petplan will cover it. Pets Best is an excellent provider to stick with, but it’s always good to look at your options in case you could get better prices or coverage. Let me know if you have any other specific questions. 1) Allergies: all providers I talked to (Petplan included) said “allergies are considered non-curable and will be pre-existing for life”. 2.1) Pets Best offers a cancer only plan, at about $15/month with a $8,000 annual max. But the downside is: cancer is not the only condition that can break your bank, and thus it seems very dicey to have this add-on. Maybe not worth it. 2.2) Enroll in a secondary plan with a different carrier, with an annual max about $15,000, but it’s not easy to keep the premium below $30/month, unless we raise the deductible to $500 and/or drop reimbursement level to 70%. Figo $14,000 70% $500 $24.18 (add $4.85 for office visits)=> winner? If we take the above Figo option ($14,000 max), combined with our current Pets Best ($5,000 max), that will give a total of $19,000 annual max, which should be decent/sufficient, at a combined monthly premium of $24.18 + $50.76 = $75. 3.1) How would dual insurance policies work together? 3.2) How is the deductible calculated for dual policies? Can the same dollar amount paid count toward both policies’ deductibles? Or one needs to count them separately, say, $200 for Pets Best and $500 for Figo, and a total of $700 for combined dual policies? Was wondering if anybody had similar experience of getting two plans and how it would work out in terms of both maximizing coverage and minimizing premium cost. Suggestions? Comments? Many thanks. We haven’t helped anyone get a second plan (that we can recall). I’m not sure how the claims process would work for that. If you’re looking for more coverage but want any already discovered conditions covered, you could increase your coverage with Pets Best. Your monthly premium would change but your actual coverage for illnesses and accidents should be consistent. I would double check with them before changing anything though. Thanks so much for your suggestion. Yes, we did check with Pets Best and discovered that (as I posted on November 13, 2018 at 2:17 am below) to increase our coverage beyond the current $5,000, we must start a new policy, which means unfortunately certain covered conditions under our current Pets Best plan will BECOME pre-existing conditions to be excluded from coverage under the new plan. In other words, we are stuck with the current Pets Best plan (a mistake made a few years back). This is the part of Pets Best that I don’t like, but have to live with. I’m sorry I forgot about that comment, Wayne. I will do some digging today and see if I can discover anything about how two policies would work together. I’ll get back to you soon! I asked Petplan CSR and here’s what they said. My current insurance will be primary, and the new policy will be secondary, pretty much like human medical insurance. Basically, one will end up paying pay deductible and copay twice, first with the primary, and then with the secondary for the remaining amount of the claim beyond the primary’s coverage and falling within the coverage of the secondary. If any claim under a Petplan policy is eligible for coverage or reimbursement by any other insurance, the Petplan policy shall be deemed excess insurance. Petplan requires the primary carrier’s Explanation of Benefits after they have assessed a claim to determine how much reimbursement may be issued under the Petplan policy. While multiple policies for the same pet are not common, we are able to work this out with the other carrier to determine if Petplan coverage may apply to the condition/claim. It is important for pet owners to share with carriers when other insurance is in effect – the Petplan Claim Form has a section for policyholders to complete if other insurance applies. After speaking with our Insurance Business Development Director, we have a concern with this. Petplan considers itself secondary to any other insurance that is in force. That means it will only pay after and only over and above what Pets Best does not pay. This would be fine if the premium reflected that – it doesn’t and there is no way for Petplan to give a discount for the primary policy. Another problem may arise if the Pets Best policy says the same thing (that if any other insurance is in force it considers it as excess). If that happens, then you could end up in a situation where neither carrier pays the claim. We suggest reaching out to Pets Best and asking how it would handle another insurance being in force. If it would consider itself as the secondary insurance as well, we would not recommend getting a second insurance plan. We do not recommend getting a second insurance plan until you have something from Pets Best confirming that it would respond on a primary basis with Petplan being in force. Also, there would only be the primary coverage for the allergies and the knees since Petplan would exclude them as being pre-existing. Thanks for pointing this out. I asked Pets Best before and I believe they accept a secondary policy, but will double check tomorrow to see if they will act as the primary in this case and will report back what I find out. At the moment, I’m inclined to take Figo as our secondary, rather than Petplan which has ridiculously high premium, e.g., $174.70/month for $15k annual max/70% reimbursement/$500 deductible (for a bichon mix male dog at age 15), which is 3 times that of Figo. (Note this would be on top of what we will continue to pay Pets Best as the primary, and thus we cannot afford a high-premium secondary policy.) At the same time, I hesitate to take Figo because it’s a new provider, not yet being reviewed on Caninejournal. It would be very helpful to see your verdict on Figo soon, hopefully before I have to make a decision by January 2. List below is a projected premium table (from online quotes, as of Dec 28, 2018) as our dog (bichon mix male) ages from 6 to 10 and then 15, where Petplan has the steepest rate increase. Sorry, Wayne, our review of Figo won’t be ready by January 2. We are still conducting our research and have not completed it yet. Hi, Kimberly, Thanks so much for cautioning this. I just asked Pets Best and unfortunately they are the same as Petplan and consider themselves as excess (secondary) if any other insurance is in force. So Pets Best and Petplan combo won’t work. The only hope is if some provider is willing to step up as the primary, then Pets Best can works as a secondary. Will see… Pet insurances are so difficult! I’m so glad you looked into this before signing up for Petplan, filing a claim and then being disappointed in the reimbursement from the two insurance plans. Pet insurance can be tricky, indeed. Unfortunately, you don’t know how healthy your dog will be when you sign up for it. That is why we recommend Healthy Paws as our #1 pick because of its unlimited coverage for all plans. Then pet parents aren’t stuck with a limited annual amount if their dog becomes ill. I hope your dog stays healthy and you have no claims to file. Wishing you the best in 2019. Figo is turning 6 years in two weeks. Would love to see your review on this young provider. They do have some attractive features and I’ll have to decide between Figo, ASPCA, and Petplan. It may sound stupid, but I had to enroll in Figo and Petplan to be eligible for their medical record review in order to determine which conditions are not covered. I also enrolled in ASPCA, which does not offer such a review. All three providers claim to offer non-routine dental coverage, which is the main reason for us to switch away from the current Pets Best plan (with $5,000 annual max) with no dental coverage whatsoever. Today is my last day of 30-day trial for both. For our 6-year old bichon-poodle mix (12 lbs) in northern California, with unlimited coverage, $300 deductible, and 90% reimbursement, Figo’s monthly premium is $56.35, ASPCA’s $64.91, while Petplan’s $120.02 (even after the 5% discount from your link). One minor point: I did find Figo charged my next month’s premium on Day 24 of our enrollment, 6 days earlier than it’s supposed to be. I understand Petplan and ASPCA are more established than Figo, which seems too young to have a track record to be compared with, but now that it’s almost 6 years old, it would be great to see your verdict on Figo. That would help me a lot with our decision. Thanks so very much in advance. Hi Wayne, I’m starting my research now on all the pet insurance companies and plan to include Figo in our Q1 update for this category. Stay tuned for updates! Hi? What is the problem why my dog is not eating any kind of food? Have you taken your dog to the vet? We don’t know your dog’s history and we are not vets so we cannot diagnose anything. Hi Stephanie! First, you can learn more about the common health problems for the French Bulldog breed here. Next, I would recommend looking at this comparison table to see what items are covered for each company and make sure the common illnesses are covered for that company. 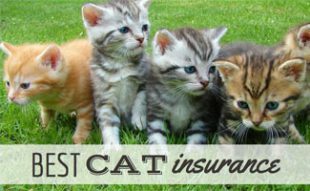 Finally, I suggest you get a quote from our top three picks via this pet insurance quote form. From my knowledge of the breed, I think any of our top three picks would cover the common illnesses associated with the breed. Please let me know if I can help you further! have you seen the yelp reviews for Pets Best? Why are you recommending this company?? Hi Darcy, thanks for the comment. Our reviews are comprehensive and we do not gather our information from one source alone. We use Fakespot to help us determine the quality of review sites like Yelp pages. If you click through to Pets Best’s Yelp grade on Fakespot, you’ll see it was given a C and it warns you to be careful of the inauthentic reviews and to judge them carefully. However, according to https://www.caninejournal.com/is-pet-insurance-worth-it/#terms, “Non-Routine Dental” is covered by Pets Best. So I’m a bit puzzled by the accuracy of the info listed here. Can anybody clarify? Disease coverage becomes available for your Pet. 1. Endodontic treatment for canine and carnassial teeth. I suggest checking your policy specifically and see what it says about the condition. Thanks so much for your informative reply! I just dug out our policy (file downloaded: POL_IHC_5_PETS_PolicyBookletAnnualIllness_CA_v1.pdf). We are in California and have Pets Best $5,000 annual max plan for our five-year old bichon-poodle boy (he will be six in a few days). “23. Claims for teeth cleanings, except as provided under the Wellness Benefit if purchased. Gingivitis and progressive periodontal disease caused by the accumulation of tartar is not a covered expense. We enrolled in the current Pets Best plan 2.5 years ago when our body was three. Had no idea then he would be prone to periodontal disease…. We are considering whether to switch to another plan with Pets Best or start with another company all over again. Any suggestions would be very much appreciated. You’re welcome, Wayne! If you change plans or companies the periodontal disease won’t be covered initially because it will be seen as a pre-existing condition. Unless there is another reason for switching, I would suggest staying with the plan you currently have to make sure nothing gets set up as pre-existing on the new plan. Thanks so much for reminding of pre-existing exclusions! In our case, in addition to the consideration of dental coverage, another motivation is to switch to a plan with no max, because our current Pets Best plan has a $5,000 annual max, which could be easily maxed out in the event that something serious happens. I called Pets Best today and was surprised to find out that even if we upgrade to such a plan within Pets Best, it would actually be considered as a new policy and pre-existing exclusion would apply. Our dog does have allergy, which is covered now, but would fall into this category to be excluded if we switch to any new plan (with the same or a new carrier). Pets Best CSR also confirmed that they do not have any plan that covers non-routine dental (except for accidents). Meanwhile, Pets Best offers a stand-alone Cancer Only plan, for ~$15/month ($200 deductible, 90% reimbursement), which can be purchased separately. Seems an option to consider, but cancer is not the only expensive condition that could happen to dogs (in our case, Bichon Poodle mix, 11 pounds). Other conditions like diabetes and knee problems would cost a fortune too. I also called PetPlan. They do offer dental coverage for gum/periodontal disease, which is considered curable with no pre-existing exclusions! But they require a 1-year waiting period for this, which doesn’t sound bad. But again, if we switch, we would lose our current coverage for allergy. So far, allergy only costs a couple of hundred dollars a year (even without insurance), but gum disease cost $1,800 this year alone. So in principle, we would live with it if we trade dental for allergy coverage. But I’m not sure which one would be more expensive down the road, and was told allergy can stay forever. I’m trying to make a decision soon and take action before our dog turns 6-years old in a few days. Any timely suggestions would be very much appreciated. Looks like you’ve done some thorough research, Wayne. If I were you, I would ask my vet which diagnosis could be more costly for my dog in the end. Currently, dental is pricier than allergies, so it would be the most beneficial to have it covered by Petplan in one year. However, if the vet believes that your dog’s case of allergies could become a larger health issue, it may be best to stay with Pets Best. I think as of now, I’d lean towards switching to Petplan to get dental covered, but that is dependent upon what the vet says about your dog’s allergies. I’m not sure how costly allergies could be over your dog’s lifetime. Either way, your dog is in great hands, it’s clear that you care immensely for your Bichon Poodle mix. Hi Jonathan, make sure you read our in-depth review of Pets Best. Don’t forget to read the comments too for our readers’ opinions. My labradoodle has a CCL tear and is in need of a $5,000 surgery. I currently don’t have insurance. From what I hear, it is common for dogs to eventually have the same issue in the other leg. As of now, his right leg is fine. If I was to sign up for insurance now, I know the surgery he needs now on his left leg wouldn’t be covered because it was pre-existing. But, what if he gets a CCL tear in his good leg a year from now? Would that be covered since it is a different leg or would it be considered pre-existing since he already had the same issue in the left leg? Great question! A bi-lateral condition is when a condition or disease affects both sides of the body, such as the cruciate ligament. Pet insurance providers may have bi-lateral exclusions in their contracts. The following companies have a bi-lateral exclusion for CCL tears, so they WOULD NOT cover your dog’s right leg if anything were to happen to it. ASPCA/Hartville and Nationwide Pet Insurance do not have bi-lateral exclusions for CCL tears. However, I suggest double checking with both of these pet insurance providers before signing up with them to make sure we didn’t miss anything in the contracts that would exclude your dog’s right leg from coverage. My Cat was diagnosed with a benign hemangioma (basically a bloody non-cancerous tumor) on his toe and the hemangioma and the toe was completely removed. The vet considers him cured. Would insurance agencies still consider this a pre-existing condition even if non-cancerous, removed and considered cured? Hi Kay, this is such a specific example, I suggest reaching out to pet insurance companies and provide your dog’s medical history to them. Then ask them for a written list of what would be considered pre-existing. Before signing up with a company, I’d have them sign an agreement of some sort stating that what you both agreed to is in fact covered and not pre-existing. I have a Aussiedor that recently ingested a piece of a toy and had to undergo surgery to remove it. He’s only 7 months old currently and unfortunately I didn’t have pet insurance at the time. The surgery went well and he’s ok now but I am now looking into pet insurance after having to spend such a large amount of money on the surgery. If he was to ingest something in the future and require surgery again would the claim be denied? Great question Brian and I think the answer would depend on the company. I would suggest that you call the companies you are considering and ask them about your specific question to see whether it would be considered a preexisting condition or not. Shopping for pup insu now. Dental coverage is important to us, who does or does not include it and who has best dental? I almost when with petsbest until i asked about what is required to maintain dental coverage (i asked because it is. Ot in the policy) i was told that a yearly cleaning was required regardless if they need it or not, i said that my vet (and many others) recommend against cleaning unless needed due the the risk of being put under which is especially true of an older dog. Anyways i asked them to point to the language “dental cleaning required every year to maintain coverage” in the policy and they sent me the same policy that I reviewed that had no such language and said “we are very clear in our polanout the dental coverage” yet when asked again they answered with the same response. I am very leary about all of these companies if you look at the policys the language is very vague and limited to give them lots of latitude in approving claims. I have no doubt that if you have a healthy no prexisting condition Fido and breaks his leg it will be covered as well as Cancer, but more common things like teeth or say swollowing an object twice in one period will be depending on the insurer and the sneeky language contained in the policy itself. So glad you clarified with Pets Best about dental coverage. Policy verbiage can be very tricky and it’s great that you were informed and knew to clarify what would be required of you. Have you chosen a different pet insurance provider? I haven’t decided, honestly I don’t think they are worth the money and is better to just budget for it, the terms are murky for all of them. They all play games like deducting the copay from the amount applied to deductible instead of meeting deductible then reimbursing at whatever %. I can guarantee you most folks don’t see that one… for example say you have a $500 deductible with a 80% reimbursement and you file a claim for $250 you will pay the $250 to the vet and they will apply $200 to the deductible not $250 not all do this but most. They say they are clear in their policies of what they do but I found that the language they use is difficult to dissect and most will consumers will glance over it thinking they understand it until they file a claim and come to find out they are not covered for it (my dental example above. The other issue is annual price increases, they are allowed to increase to whatever the state sets for that year, in my state it is currently 35%, do you think they will only raise it 1-3%? I doubt it. Just got a 9 week old bernedoodle puppy, first generation from a Bernese mom and standard poodle dad (he’s gonna be a big boy!). Read all of your great information here (THANK YOU!) and given that we have a puppy, I’m leaning towards Healthy Paws. Just wondering if you have any thoughts / experience on how these companies handle annual rate increases. From reading many comments, it seems that even if costs seemed reasonable in the beginning, many folks have faced the issue of major premium increases. Congrats on the new puppy! In regards to annual premium increases, all pet insurance companies increase premiums from year to year. This is because of the increase in vet costs as well as the dog getting older and being more likely to experience a health related claim. We can’t say that a company increases a certain percentage because there are different variables pet insurance companies take into consideration including breed, location, pre-existing conditions, age, etc. Those variables vary for each pet, and we aren’t privy to that information. I would suggest speaking with Healthy Paws about what types of increases you should expect each year for your specific dog. Hopefully that will give you an idea of what you could be facing. Let me know if I can help you out in any other way! Good luck! i have a 5 yr old rescue. Currently have Nationwide/VPI and they want me to renew at a price near $950. we have their major medical plan with wellness plus rider. This seems like a very high price. Any suggestions on other plans would be appreciated. PS- ion the paperwork from the adoption agency it has a pre-existing skin issue that the vet has determined no longer exists will the condition ever be covered? Hi Ben, great question! First I suggest you run quotes for our top three pet insurance providers here. You will get customized quotes for your pet specifically, which will help you know what you may end up paying for each. Depending on the company you go with will determine the pre-existing conditions and how they handle them. I suggest speaking with each company about your dog’s health records and get in writing any pre-existing conditions so you know exactly what is and isn’t covered. If you have any further questions don’t hesitate to ask! As others have mentioned, it seems every single pet insurance company has horror stories. Any company will do its due diligence to try to find any little thing in your dog’s past that can be used against you to say it’s a pre-existing condition. If they can’t, then they’ll cover it. I can already see how hard Pets Best pushes to try to get that proof. We are in the process of our first (very simple) claim to try to get credit toward our deductible for <$20 of anxiety meds. PB wants everything but the kitchen sink from our vet/us. So now I realize, they have her full records, and let's say…if she has any future stomach issues, they'll use it against us that she saw a vet (the week before her coverage began) for being sick from eating poop in the woods. Even though I know any GI issues in the future are unrelated, they'll still say it's pre-existing. Note that some of these companies don't allow repeat occurrences within 12 months, either. Like, if your dog gets an ear infection and it's covered once, then gets another one within 12 months, they'll deny it. I've read many, many comments to that effect. Just be smart. Know what's in your dog's records, and think to yourself if it's honestly worth it to try to have Illness coverage. Look at it from the insurance company's eyes and try to imagine what they'll use against you. Do you really want to pay premiums for years, only to find out everything is "pre-existing" when the time comes to use your policy? I think we're going to go with Accident-Only, and that's that. Is healthy paws the only one of your top 3 that has “Unlimited lifetime coverage so no annual or per incident limits on claims”? I thought ‘pets best’ also had no annual limits? But do they have “limited lifetime coverage and per incident limits on claims”? Does petbest coverage of hip displaysia after age 6 get reduced as well? Pets Best does not have an age restriction for hip dysplasia coverage. Thanks. But I’m confused as to why healthy paws would be ranked #1 above pets best. In what areas is it better? It mainly depends on your dog. For example, if you have an 8 year old dog and you fear he may develop hip dysplasia, choosing Pets Best over Healthy Paws would be wiser. However, if you have a pup you are trying to insure, either company would be great. 1) Healthy Paws is highly rated and has been consistent with its underwriter. This shows its stability in pet insurance. 2) Healthy Paws offers good pricing for always unlimited coverage, which is what we recommend. 3) Pets Best’s underwriter is unrated, which is considered a higher risk. This makes us nervous a little. Iʻm currently comparison shopping and I believe the Premier coverage for Petplan has the unlimited annual coverage (for my dog, it would cost me $77.65/mo). The recommended plan that is $20 less has a $15K annual coverage. Could this only be specific to my dog? Yes, that quote should be specific to your dog if you put in your zipcode, breed specifics, etc. Let me know if you have any other questions! Beware of Petplan! I felt they were the best option in 2009 when I first obtained insurance for my Golden, however, my premiums have more than doubled from that time. I have only made one claim in that time and they found every way possible to not pay it. They were given the complete records immediately with the claim, and every time I inquired about the status of the claim, they were very slow to respond and always with “its in review”. They ended explaining the reasons why I wasn’t due a payment. I have read many reviews of this company since researching over the last week and I have seen no good ones, only very unhappy people who have experienced ridiculously high increases in premiums and unhappy about customer service as well. I have compared my new rates with Healthy Paws, Trupanion, FIGO…and they are all a lot less. Deciding on the right company is difficult. I like a lot about FIGO, but hesitate because it is just about 5 years old. I also am concerned about switching companies given my Golden is 9 years old, however, I just can’t bring myself to pay what I feel is highway robbery for the renewal of Petplan. I read that healthy paws doesn’t cover hip dysplasia. Read here for information regarding hip dysplasia coverage through Healthy Paws. Let me know if you have any further questions! I have Pets Best since 2 years ago and I love it. It had saving me a looot of money. I got when I got my cat, and until now he only had has sickness so everything it’s been covered. Besides Trupanion do any others pay the vet directly minimizing your out of pocket payments? Embrace and Nationwide do not have the option to pay vets directly. Thank you for all the great information. I love that fact that you are answering every comment too. very awesome!! My Question: is there something wrong with Geiko/Nation Wide/Progressive? I am looking at Nation Wide right now and quoted me at 43 for emergencies and wellness. looks like Nation has their own through petinsurance.com where as Progressive runs through Pets Best. Thanks for the kind words, Rikki. To be honest, I haven’t researched Geiko or Progressive personally, so I can’t speak to them. Nationwide is included in our pet insurance reviews comparison. I encourage you to read the pros/cons for Nationwide and compare it against our top 3 companies: Healthy Paws, Pets Best and Petplan. You’ll notice that there are fewer cons for our top 3 companies and they have a longer time in the pet insurance space than Nationwide does. (Healthy Paws 2009, Pets Best 2005, Petplan 2003 and Nationwide acquired VPI in 2014.) If you still have questions after reading the articles linked in this comment, let me know and I’d be happy to answer them and help you find the best fit for your pet’s situation. I wanna get the Healthy Paws pet insurance for my dog but they don’t offer the wellness plan. So what should I do? You could purchase a wellness plan from Pets Best, which is our #2 ranked pet insurance company. 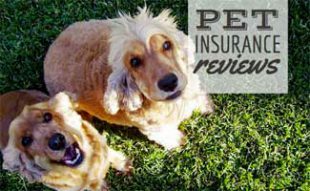 If you’d like to have both plans through the same company, I’d suggest looking at Pets Best’s pet insurance coverage as well. Please let me know if you have any further questions! Seems to me that none of these insurances are perfect. They all have negative feedback on other websites. Yes, unfortunately with any company in any subject there will always be negative feedback. Let me know if you need help finding a pet insurance provider for your pets. I forgot to mention, the pup will be 8 weeks and 1 day old this Saturday. I will need to get him/her all shots, including parvo. We will be bringing the pup straight to vet for shots, then to our home.